The coming of solar grid parity offers an opportunity for millions of Americans to go solar affordably. But it also means a potential transformation, a democratization of an electricity system long dominated by centrally-controlled utilities and centralized ownership and production of electricity. 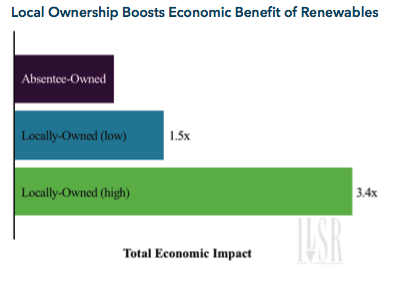 When solar can undercut grid electricity prices, it may also undercut this 20th century system of centralized ownership, bringing economic sunshine and self-reliance to communities along with solar electricity. The above chart is quite conservative. For one, the data only reflect the 50% of Americans that live in the largest 40 metropolitan areas. Additionally, we used average grid prices and did not factor in time-of-use pricing or “economic grid parity.” Finally, residential solar is only a fraction of the total solar market. 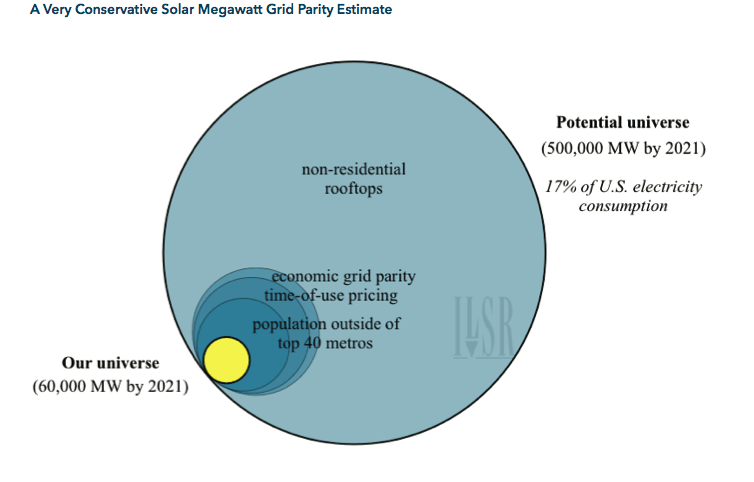 In California, the largest U.S. solar market, residential solar represents approximately 30% of the installed capacity in the California Solar Initiative program.3Thus, the grid parity potential numbers above are a fraction of the actual solar potential when considering commercial and public sector property as well as communities smaller than the 40 largest cities. 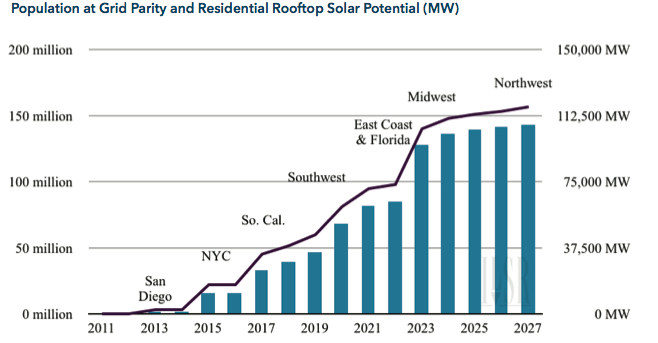 With a potential for 30,000 megawatts of residential solar in the next 6 years, communities across the country could gain over a quarter million jobs and create over $18 billion in economic activity. 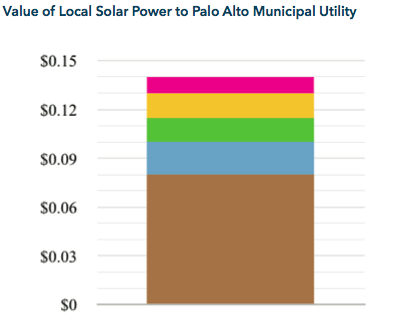 The following chart illustrates how utilities are recognizing the value of solar power, illustrating the willingness of a municipal utility to pay more for local solar power because of its various grid and local economic benefits.